Reprinted from December 4, 2009. Draw two vertical lines a desired width apart down the center of the back. Draw four parallel diagonal lines from the inside and outside shoulders to the center band. 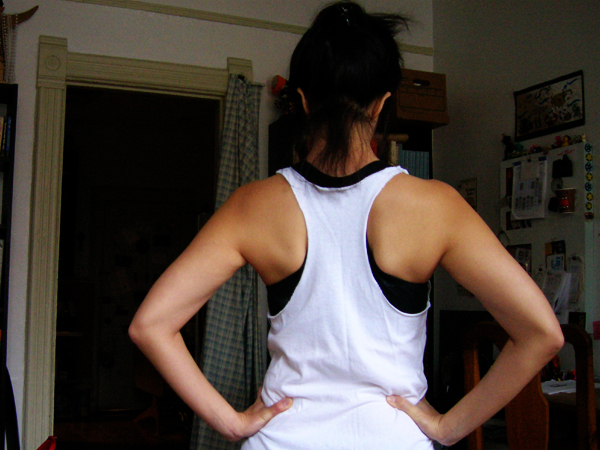 Draw a horizontal line across the back from armpit to armpit. Draw a little curve at the neck. Draw curves from the horizontal armpit line to the diagonal shoulder line on both sides. 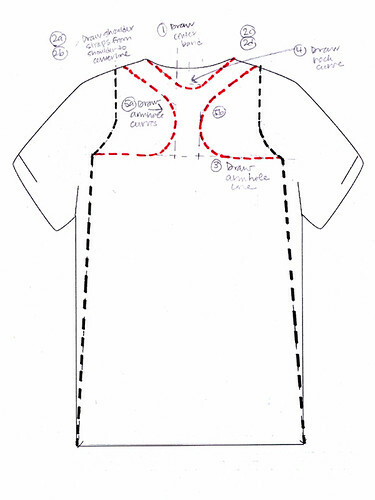 Cut out the racerback as drawn. Just don't get freaked out about the curves. It's all straight lines, and the curves are just to round out the angles.